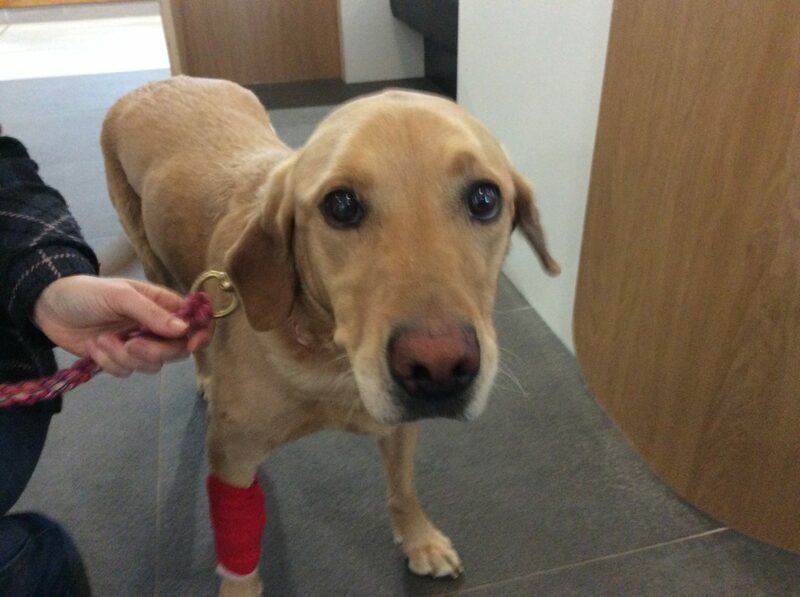 Golden Labrador Pebbles is rushed into Fitzpatrick’s sister clinic, the Fitzpatrick Referrals Oncology and Soft Tissue (FROST) centre in Guildford, after Karen notices a lump growing on her side. Pebbles has been behaving strangely and has now stopped eating. FROST Vet Jonathan suspects it is an abscess, but on closer inspection he soon discovers the culprit… Pebbles is now critical and it’s a race against time to operate. 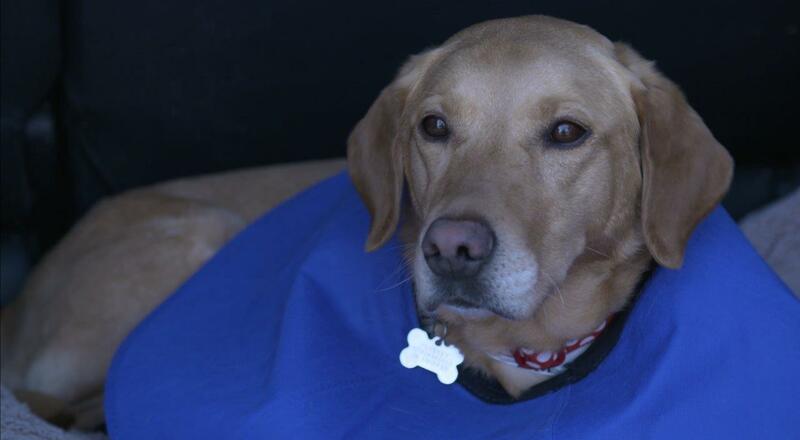 Pebbles was brought to Fitzpatrick Referrals Oncology and Soft Tissue hospital as an emergency referrals due to a swelling on her side that was growing rapidly. The cause of the swelling is unknown and the family fear the worst. Jonathon Bray saw Pebbles and said that the nature of Pebbles condition, her dull nature and the rapid onset of symptoms suggested infection of some kind, but to know what the cause was, advanced diagnostic equipment would need to be used. It didn’t take long to discover the culprit… deep in Pebbles abdomen was a 20cm kebab stick! Jonathon had to take Pebbles immediately to surgery to remove the stick before it damaged any of Pebbles’ vital organs. The large lump on Pebble’s side was a large abscess, the body’s attempt at getting rid of all the badness from inside the body. At 20 cm long, Johnathan needed to find a way to remove the stick without causing further damage. He cut it in half and carefully removed the stick from Pebbles stomach, and then drained the large abscess. Pebbles needed to stay at the practice to allow for her wounds to heal, but it was suspected she would be a very different and happier dog now that the problem had been found. Pebbles family came to take her home a few days later and Jonathon had saved the stick to show them. Karen was amazed and bewildered wondering how Pebbles had come across the kebab, but as Jonathon said, if it has a hint of food on it, a Labrador will give it a go! A lot bouncier and a lot happier, Pebbles is now well recovered and Karen and the family are keeping a close eye on her to make sure she isn’t tempted by any more unsuitable snacks! The greedy Labrador strikes! Swallowing a kebab stick is no easy feat, but thankfully the culprit was identified and eliminated. Stay away from the delicacy of foreign bodies Pebbles! Way to go Team Fitzpatrick Oncology and Soft Tissue.